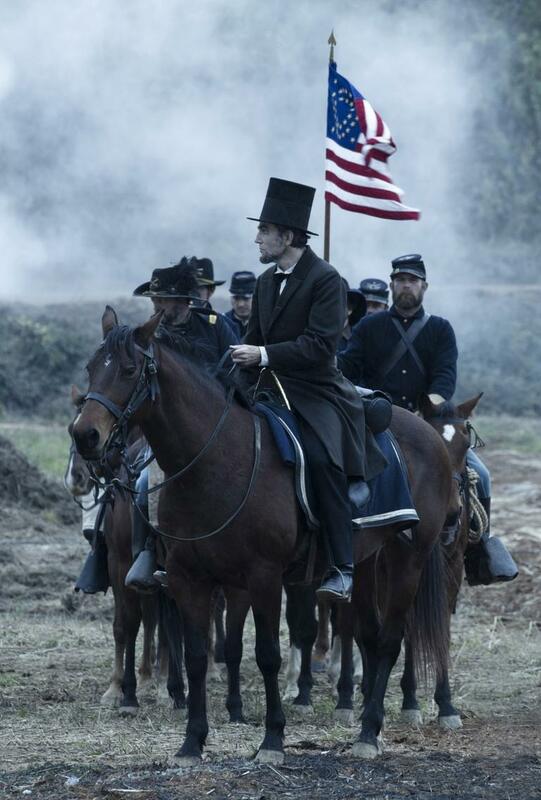 No American historical figure has been portrayed on screen more often than Abraham Lincoln. In the long history of cinematic Lincolns – Henry Fonda in “Young Mr. Lincoln” (1939), Raymond Massey in “Abraham Lincoln in Illinois”(1940), an incredibly stiff and awkward Walter Huston in D.W. Griffith’s biopic, “Abraham Lincoln” (1930) – each portrayal reveals how Hollywood has mined the 16th president's life to suit the historical moment. Massey, for example, played Abe at the end of the Great Depression, a forerunner of New Deal liberalism, ready to stand up to those appeasing the forces of tyranny — whether in the form of southern slaveholders or Hitler and his minions. So who is today’s Lincoln? Certainly he’s more closely in tune with 21st century racial sensibilities. Where earlier Lincolns put saving and restoring the Union first and foremost, modern renderings reveal his hatred for slavery. In one recent manifestation, “Abraham Lincoln: Vampire Hunter” (2012), he appears as slayer-in-chief, hunting down the slaveholding vampires of the South. I took my students to see Steven Spielberg’s “Lincoln” since our class has been studying some of his controversial positions: his endorsement of a “colonization” plan for freed blacks, his halting journey towards emancipation, his decision to suspend the writ of habeas corpus and imprison those he considered traitors. But what she really liked was not the historical figure, Lincoln, but “Lincoln,” a film portrayal that is not necessarily inaccurate (though some liberties are taken), but it is definitely selective. Not that there’s anything unusual in that. Perhaps our era has gotten a postmodern Lincoln for a more cynical age when audiences know that praising him as “the Great Emancipator” might be just as far-fetched as hailing him as a vampire hunter. Spielberg’s Lincoln, beautifully portrayed by Daniel Day-Lewis, is a noble emancipator. But not so noble that he’s unwilling to engage in backroom political dealing to get the votes needed for the amendment. But for all the earthy qualities in Day-Lewis’ incarnation, there remains something deeply romantic and idealized in this, as in most every Hollywood portrayal. As is true of so many other Lincolns, Spielberg’s version depicts him as healer-in-chief, one of our foremost symbols of reconciliation, of the reunion of once warring sections into a stronger and presumably better nation. Perhaps our era has gotten a postmodern Lincoln for a more cynical age when audiences know that praising him as “the Great Emancipator” might be just as far-fetched as hailing him as a vampire hunter. Nothing reflects this theme more strongly than the Lincoln Memorial, a granite icon that pays tribute to union but says practically nothing about the central issue that divided the nation — slavery. In Hollywood, which seems to demand the neat resolution of even the most truculent forms of conflict, it is rare to find a Civil War film that does not try to force a conciliatory coda onto a story of stark division. But I hated the last 15 minutes of “Lincoln” because (SPOILER ALERT!) its title character was forced to wear the tired old clothing of reconciliation. In one closing scene, Ulysses Grant humbly raises his hat to his enemy, Robert E. Lee, when they meet at Appomattox, a gesture that comes immediately after Lincoln has told Grant to go easy on the rebels when the day of peace-making arrives. Certainly Lincoln held out hope for the nation’s eventual reconciliation. But just as certainly he knew that reuniting the nation would be difficult and divisive, especially in light of deep separations over the meaning of emancipation. Perhaps Spielberg should have forced us to reflect more carefully on the image of Lincoln’s gory assassinated body, felled by a Confederate sympathizer. Few images speak more forebodingly of the bloody and brutal struggle over Reconstruction that followed the Civil War. This program aired on November 22, 2012. The audio for this program is not available.